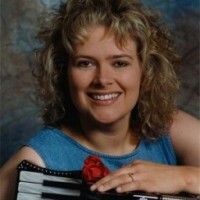 Barefoot Becky has been the leader of a polka/variety band since 1988. She has traveled the US playing for all kinds of events. She plays 15-20 gigs or more a month and within the last couple of years has given up the real job to do music full time! Sometimes it’s just her and her husband, Terry, or else it’s the full 5 piece band. In 2007 Becky & Terry became part of the Merrymakers Association and look forward to entertaining you!